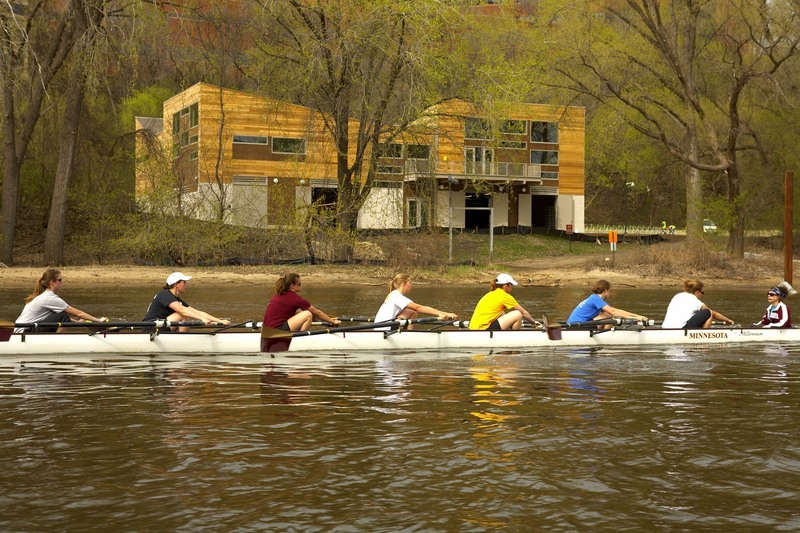 The University of Minnesota Women’s Crew began its first season as a varsity program in the fall of 2000. 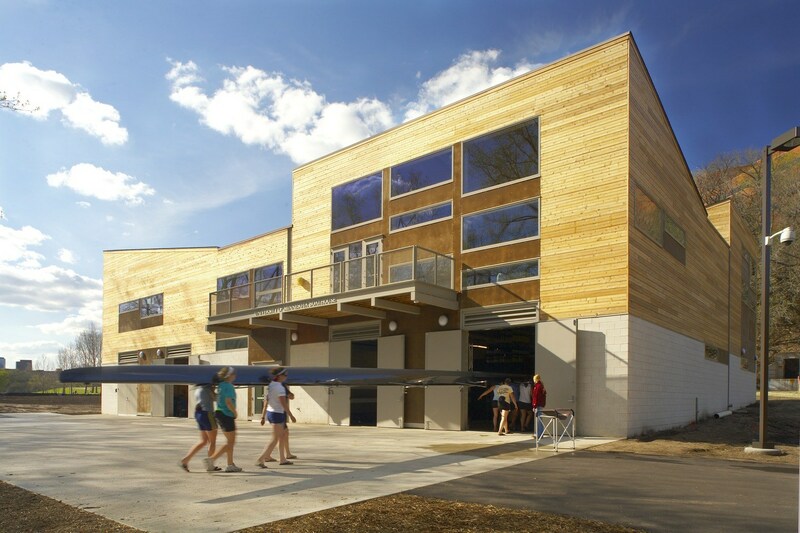 Before they hired coaching staff or recruited athletes, the University’s Athletic Department tapped HGA to design their boathouse because of our sports design expertise and planning experience. HGA also assisted in negotiations with the local Park Board to place the facility within the master plan for the permanent site, the East River Flats Park and Lower Gorge area. On the shoreline of the majestic Mississippi River, the two-story, wood-clad structure is modern in design with four shed roofs and windows all around that provide views of the park and the river. 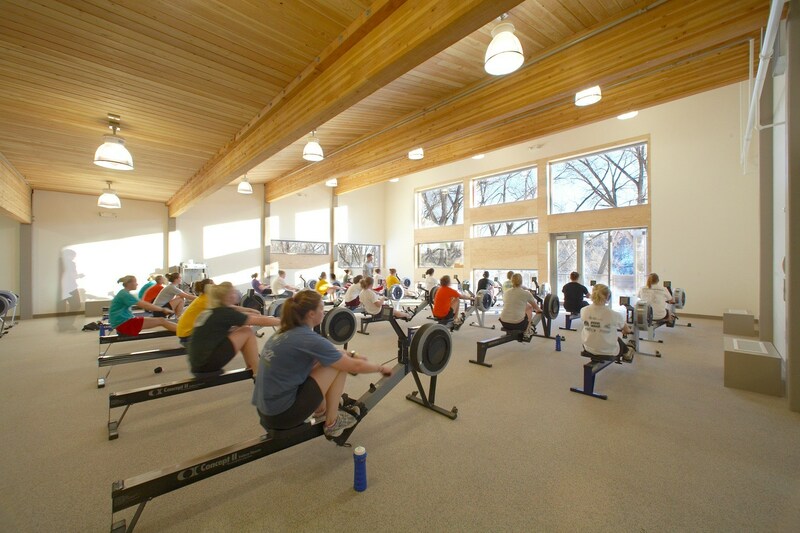 The 17,500 SF building includes three boat storage bays, one repair bay, indoor rowing tank, multipurpose team-room, locker rooms, coach’s offices and a training room. Featured in Curbed among 10 High-Design Boathouses Around the World.